Most dental procedures in children are completed using local anesthesia, however very young, fearful or uncooperative children also require some sedation. Sedation is a deep sleep that insulates your child from the stress and discomfort associated with dental procedures. It is not the same as general anesthesia used in a hospital. With the young patient sleeping and comfortable, your dentist can concentrate on the procedure knowing that your child’s breathing, heart activity, and general condition are being closely watched by the pediatric anesthesiologist. Who is a Pediatric Anesthesiologist? A pediatric anesthesiologist is a medical doctor who has completed specialty training in anesthesiology and extra training in anesthesia for infants and children. Dr Tucker is Board Certified in Anesthesia as well as subspecialty board certified in Pediatric Anesthesia. Sedative medications are given as an intramuscular injection (shot) in the upper arm usually, that works quickly and reliably within about 5 minutes. Please do not tell your child about the shot. You will be with your child when the shot is administered and may hold and comfort your child until the sedative takes effect. Your child may not remember the injection or the office visit. Once sedated they will be moved into the dental procedure room, blood pressure, heart and breathing monitors are placed. The intramuscular sedatives are supplemented with nitrous oxide administered by nose-mask and intravenous sedatives (IV). This allows your child’s dentist enough procedure time to complete all of your child’s dental treatment in one visit eliminating the need for repeat visits and sedations. Parents are not allowed in the dental procedure room during the sedation or treatment. Can this procedure be done without Sedation? Dental procedures can usually be accomplished without sedation. 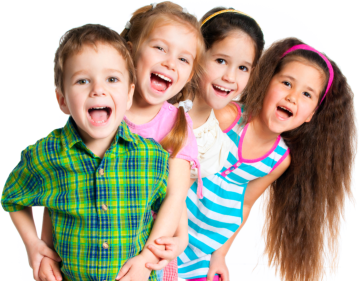 However, children who are very young, anxious, uncooperative, or require extensive dentistry with multiple appointments benefit from sedation. This type of sedation is not the same as a general anesthesia used in a hospital operating room. Rather, it is a controlled sleep that insulates the child from the stimulation of dental treatment while allowing the dentist to complete treatment in a safe and efficient manner. Your child will be deeply asleep but there is the possibility of bodily movements, therefore children are protected in a light Velcro wrap during the treatment period but will be unaware of this restraint. The type of sedative drugs and technique will be determined by the anesthesiologist who will consider the medical history, length of the dental procedure, and body weight of your child. How will my child be monitored? EKG: This monitors heart rate and rhythm continuously beat to beat. Pulse Oximeter: This measures oxygen levels and pulse rate continuously. Blood pressure: Taken automatically every few minutes. ETCO2; This can register breathing via small tube that measures exhaled gases. Should I tell my child about the shot? Usually it is better not to. This is often true even in older patients. Often these children are anxious to begin with, having too much time to contemplate the shot creates more anxiety. Small children can be distracted and the shot given quickly. Older children can be told on the day if necessary, and the shot given quickly before too much anxiety has developed. Ultimately, the decision about your child is best left to you. Currently, insurance companies are very bad about paying for dental sedation. Medical insurance will often not pay because it is a dental procedure, and dental insurance will not pay because sedation is given by an MD. Having said that, Dr. Tucker will provide you with an insurance form that you may submit anyway. Sometimes they will pay, and sometimes they will apply it to your deductible. Dr. Tucker is a Summacare provider. You are still responsible for deductibles (upfront) and copays. Often her out of pocket fee is cheaper. Lastly, with deductibles and copay amounts that are considerable with a hospital procedure, office sedation is usually far more affordable for many patients. Dr. Tucker is committed to providing her patients with the greatest care. Her top priority is to reduce stress of dental visits and create positive experiences. With the latest medical technology available Dr. Trucker is able to achieve thi goal of assisting Dentist during multiple dental procedures.